Our improved and innovative Roto Rolling Racks incorporate a smart design that includes our one-touch pull handle and back lid mounted wheels for easy transport. 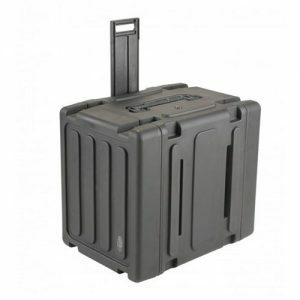 It’s fast, easy and comfortable, and helps to eliminate heavy lifting and carrying! The exterior is designed so that these models will easily stack with our existing Standard and Shallow Roto Racks, making transporting multiple cases simple and secure. 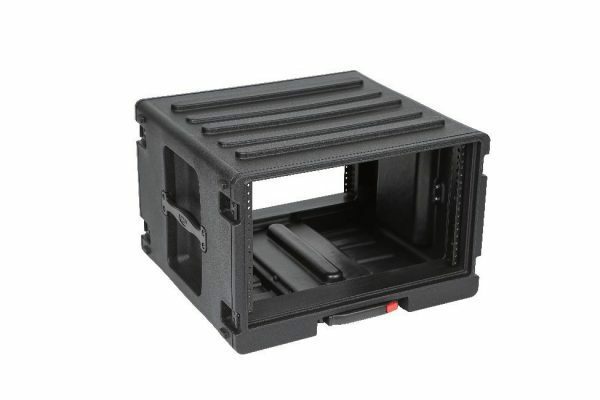 Four military grade butterfly latches secure each lid and an internal rubber gasket keeps water out ensuring your sensitive electronics stay safe and secure for worry-free transport. 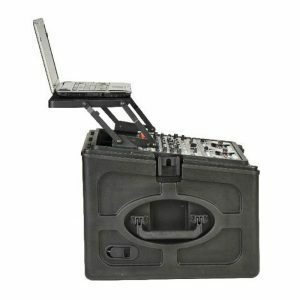 The rackable depth of these cases is 17.7″ and typical applications are in music, pro audio/video and many more markets. 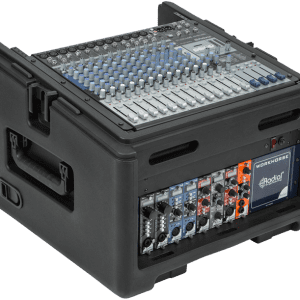 These models well accommodate various audio and video devices such as video switchers, power amps, and power conditioners.